refinements such as a thermostatically controlled boiler, co2 burn technology and a multifuel grate for wood and solid fuel. A non boiler option is also available giving a massive 16kw to the room. 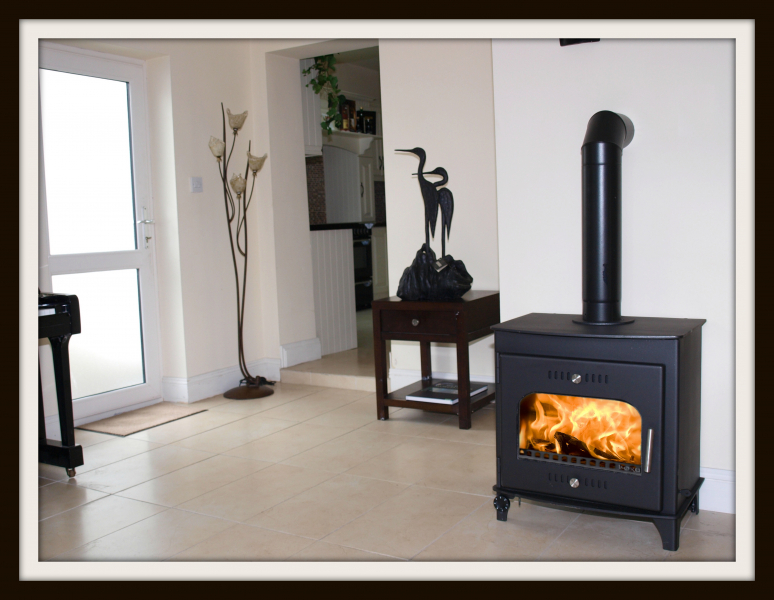 There is Central Air Intake available on this particular model and there is no Boiler model available for this stove. Its Efficiency is 77% and provides 16kW to the room and 4KW to the room. Heats up to 14 single radiators. There is no Double Sided Option Available on this particular product. Double sided options also available.